1. Choose your advertising medium carefully. Advertising on the Web takes on many forms. There are many ways to advertise on the Web that choosing the best format and medium has become a challenging task for every online marketer. The first key consideration is that the advertising format (e.g. banner, contextual advertising, ezine advertising, etc.) you choose should fit your objectives. Research and read on the different types of advertising formats, and know the factors for success of each format. Visit discussion forums (e.g. Webmaster World) to determine how other advertisers are using the various formats, and what their experiences and level of success. Once you have decided on the advertising format, carefully choose the best vendor for your ad dollars. If you will be doing banner advertising, what sites should you advertise and show your banners? Or are you better off to use an advertising network that uses a pool of publishers? If you are thinking of pay-per-click advertising, for example, determine which of the players (e.g. Overture, Google) can provide the best results. Sometimes you need to experiment to see what medium works best for you. 2. Understand and continuously monitor your advertising purchases. Advertising is a game of trial and error. Some advertising vehicle may work for you, and some may not. Be sure that you know where your results are coming from, and be ready to react on them immediately. You can choose to increase your spending in the medium that works and decrease your ad dollars in venues that bring disappointing results. For example, you are an advertiser using the Google Adwords program to drive traffic to your site. A recently launched feature of this program called the broad content matching is for your ad to be placed not only in the search engine result pages (SERPs) of Google.com but in third party sites that matches your keyword (Adsense publishers). If you use this new feature, track which site gives you the better conversion: the SERPs vis-a-vis Adsense publishers. Examine what vehicle gives you better branding and better conversion for your ad dollars. Some smart advertisers are even going straight to the Adsense publishers that gave them the best conversions. It is important to keep track of the return on investment (ROI) of every advertising purchase made. If your goal in advertising your web site is to increase sales, which advertising vehicle is giving you the best conversion for every buck spent? Keep in mind, though, that conversion is not simply a factor of your advertising vehicle. Do not always put the blame in your medium if you fail to convert. The most salient elements of the offer, such as price and premium offered, can spell the difference in getting the best conversion. The ezine newsletter where you advertised for a month may give you a stream of targeted customers; but if your web site looks poorly done and your copy fails to entice them to purchase your product, then you will see poor results from your advertising. Read the article Conversion Rate: 30 Tips on How to Sell Online. 4. Work and rework your advertising copy or creatives. Continuously experiment on what copy or banner creatives and formats work well for your purposes. Do not be afraid to change your advertising materials when you think that you are not getting the results that you expected. Better yet, be sure to use several creatives for your advertising, purchase initial advertising test runs, and determine which of your creatives work the best. Read the article How to Make Your Advertising More Effective and Cost Less. 5. Maximize your customer and media time. When a potential customer clicks on your ad or banner, you can increase your revenues if you can maximize your sales from the customer. The customer should have an opportunity to check out (and hopefully) purchase your other products and services. Don’t underestimate the power of “by the way” sales: while the customer is browsing or shopping in your site, your system should be capable of showing other recommended and similar products. Read the article Conversion Rate: Maximize After-Sales Opportunities. If you are running an e-commerce site, choose a shopping cart with upselling and cross-selling capabilities. Upselling means soliciting the purchase of goods or services following an initial transaction. It is the strategy of pushing new products to current customers based on their past purchases. Cross selling, on the other hand, involves placing similar products in a retail setting; while it involves using such functionality as “Other Products You May Be Interested In” in an online medium. These strategies are designed to widen the customer’s reliance on your business and decrease the likelihood of the customer switching to a competitor. 6. Use integrated marketing plans. Don’t focus solely on one approach; remember that there are various ways to market your business. Online advertising should be part of an overall marketing plan for your business. You may find that some of them are cheaper or more effective compared to the others. Depending on your budget, you can diversify your advertising by employing other marketing techniques, such as publicity and public relations, and offline advertising. 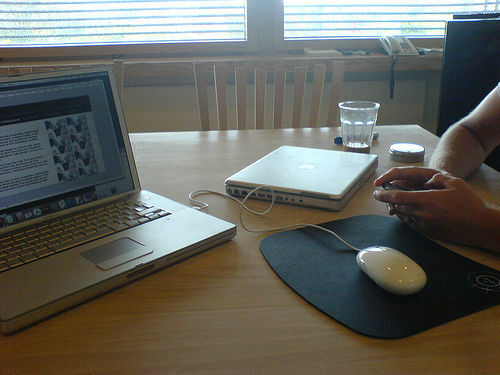 Online advertising works well if you complement it with other techniques, such as aggressive link swapping and search engine optimization.